So versatile – how did we manage without Mudlark! 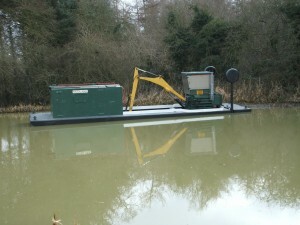 This dredger, equipped with a Smalley digger is a valuable addition to our fleet. Purchase was made possible by public donation and a legacy – we never ceased to be amazed by your generosity! 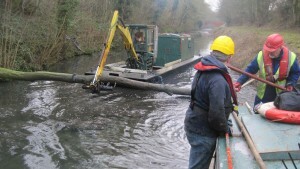 Restoring the Grantham Canal is, without doubt, a huge project. Knowing we have so much support in the community – buoys us up no end – thank you!